Friday morning, UPND presidential candidate Hakainde Hichilema (HH) and his team left Kaputa and headed for Mpulungu, Mbala and Senga Hill. Speaking at a public rally this afternoon at Vyamba grounds in Mpulungu rural, Mr. Hichilema said that no matter how much people are provoked they should never resort to violence. He called on President Edgar Lungu to act responsibly and stop the violence that has been plaguing chiefdoms such as that of Chief Tafuna. Also speaking at the rally UDF President Miles Sampa appealed to the residents to vote for Mr. Hichilema as he is determined to develop rural areas. Mpulungu UPND Aspiring MP Martin Pende stressed the importance of promoting agriculture and business in the constituency in order to alleviate poverty. Following this HH travelled to Muzipasi in Mbala rural. The President assured residents of an improved and reenergized agriculture sector under his leadership. Speaking at Muzipasi grounds this afternoon, Mr. Hichilema said that through the UPND 10 Point Plan he will promote food production in rural areas by ensuring that each farmer receives plentiful fertiliser. He also announced he would implement cattle loan facilities that could be used for cultivation, milk and meat production. 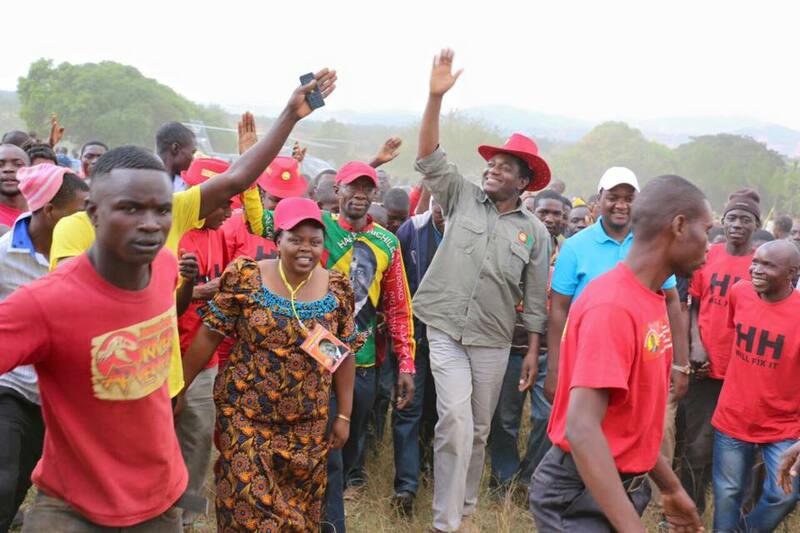 Mr. Hichilema was once again accompanied by UDF President Miles Sampa and UPND member Racheal Chileshe. To end the day HH headed to Senga Hill, he stressed that he is aware of the enormous job ahead of him but expressed confidence that with hard work and dedication he is equal to the task. Also addressing the crowds UPND Senga Hill aspiring MP Gilles Yambayamba said that his constituency is one of the least developed but that Mr Hichilema should set it among his priorities. The entourage has since left Senga Hill constituency for Kasama where they are scheduled to hold a large rally tomorrow.